Dance, sing & celebrate Yael’s newest collection! 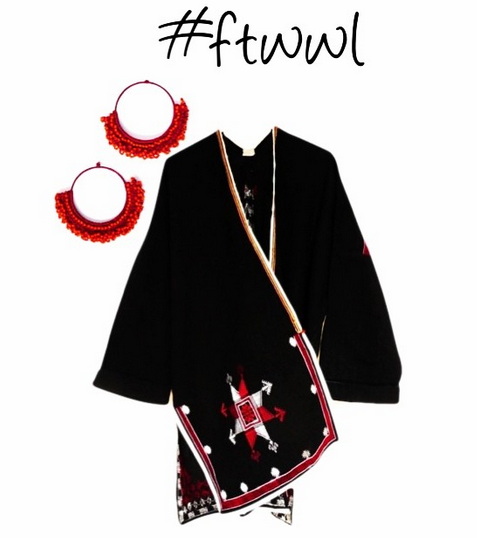 The FTWWL lifestyle is fun, fresh and always fair-trade. The Nomadic Collection is everything you’re looking for…and more. 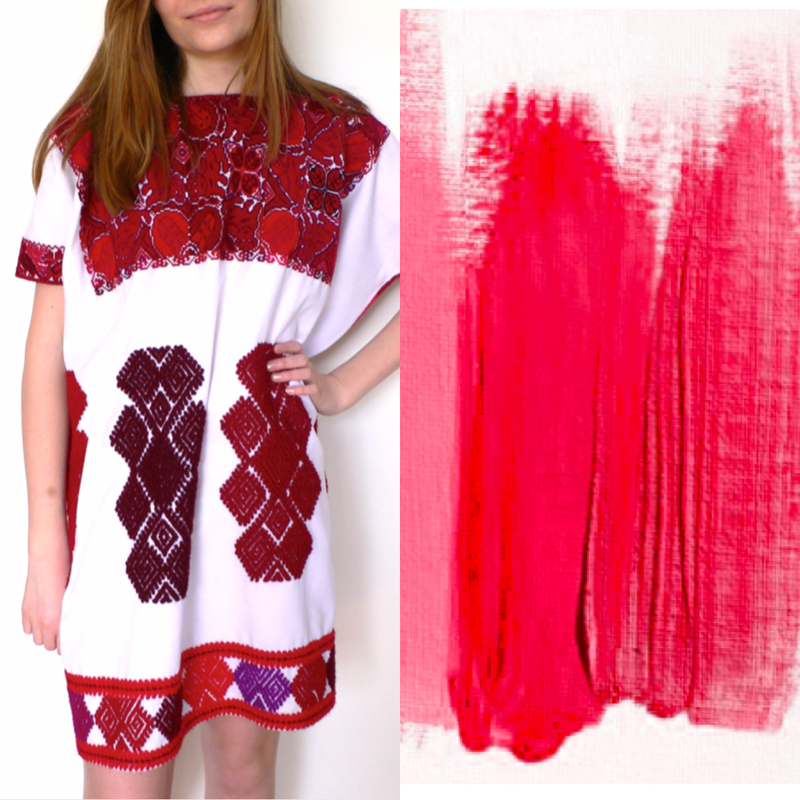 Discover what inspired Yael Guetta’s Nomadic Collection. 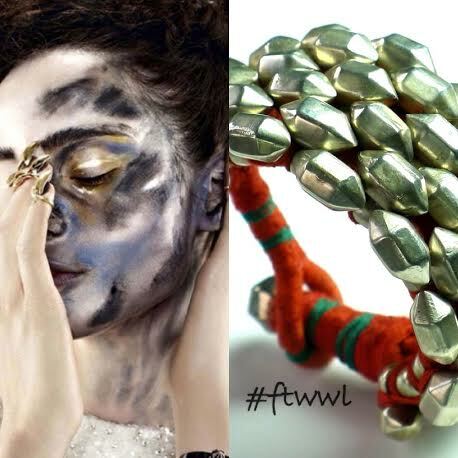 From the World with Love transforms raw materials into wearable art. 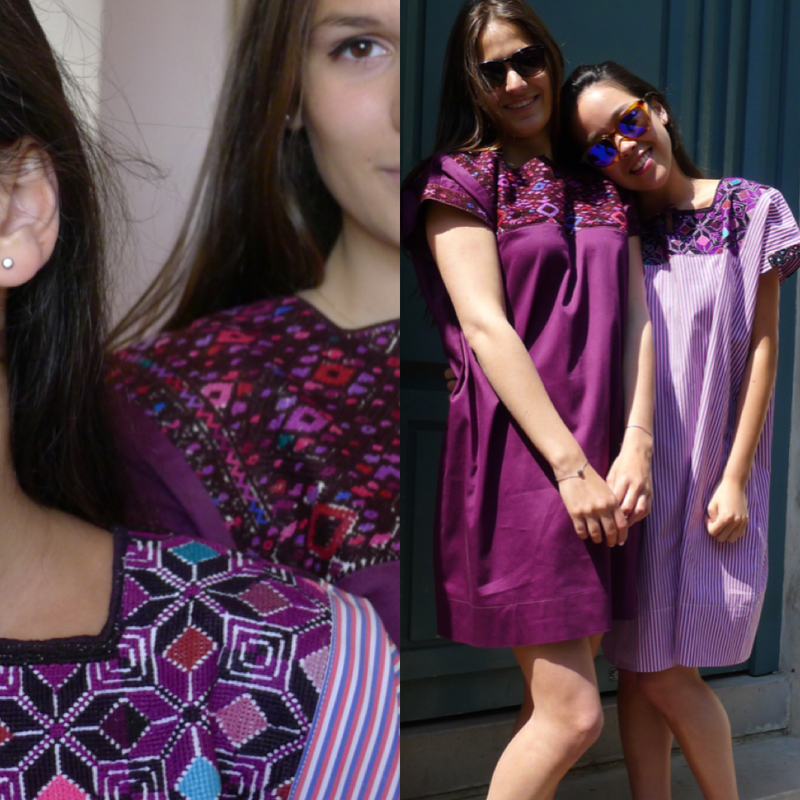 Influenced by her Parisian sense of style and Mexico’s traditional embroidery, the Nomadic Collection is a blend of fashion and heritage. 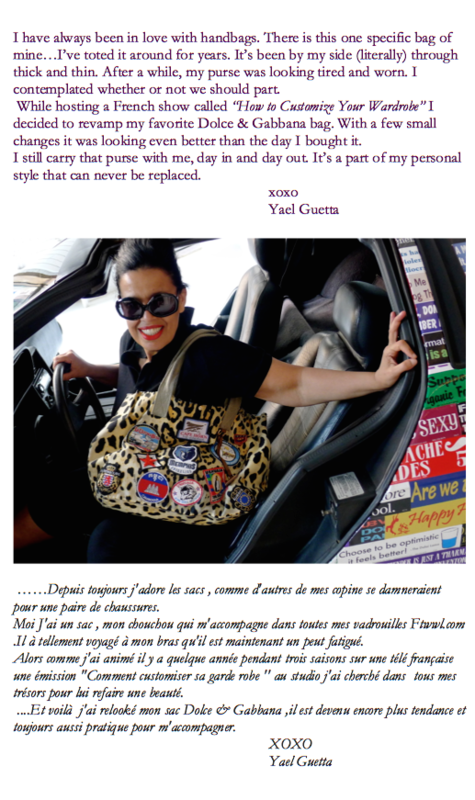 Original designs and luxurious fabrics merge into what Yael describes as “eminent and irresistible fashion with a purpose”. 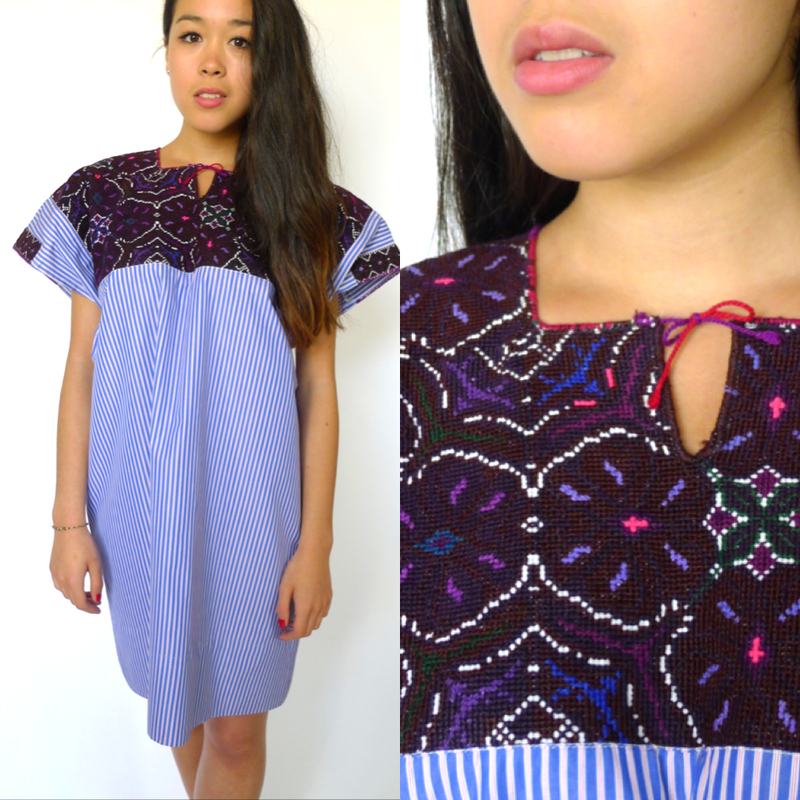 The Chiapas women have a deeply personal and symbolic connection to each dress they make. 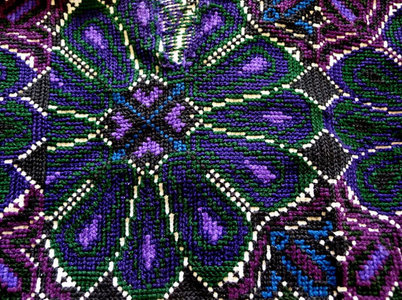 The embroidery used in the Nomadic Collection is the product of skilled artisans and regional traditions. 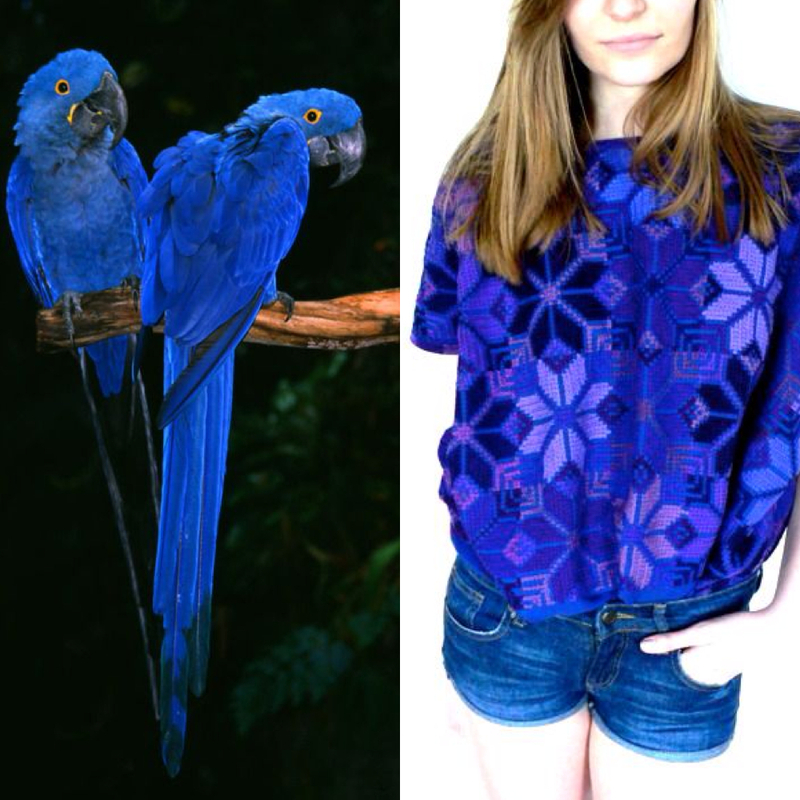 In her Paris studio Yael pairs the hand-selected embroidery with the finest Italian silks. 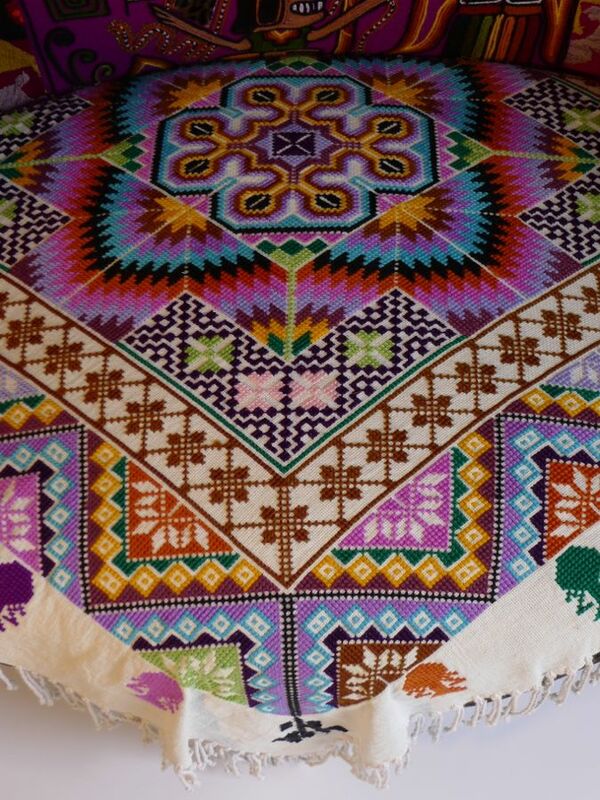 From the World with Love believes in honoring traditions of the Chiapas villages. 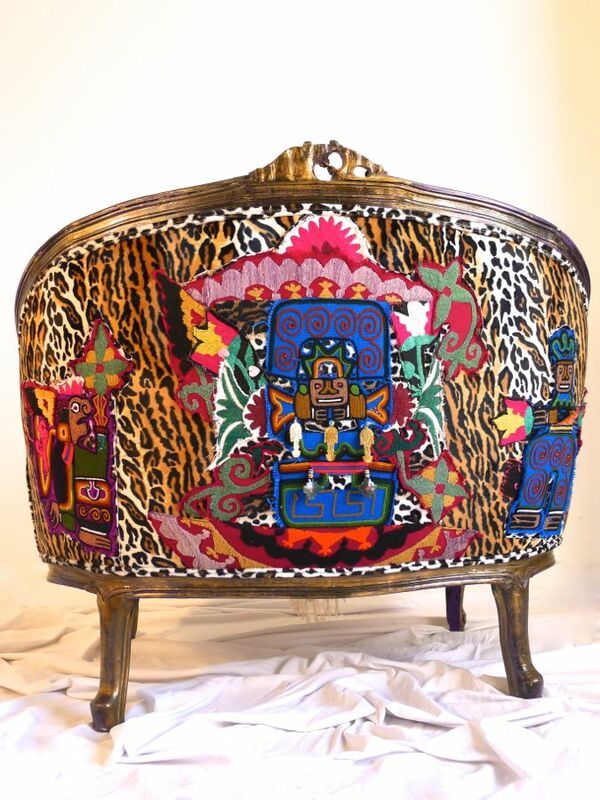 By working hand-in-hand with these artisanal women, Yael is helping to preserve this sacred art. The Nomadic Collection symbolizes her personal relationship to fashion, culture and all things made from the world with love. 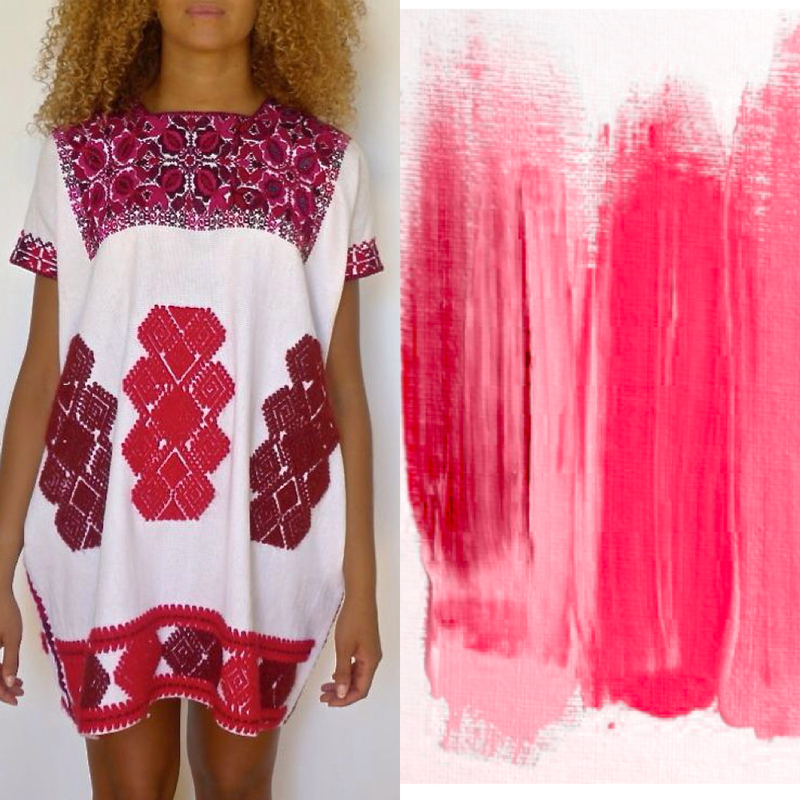 Like a fingerprint, the pattern on each dress is an inscription of one’s own identity. 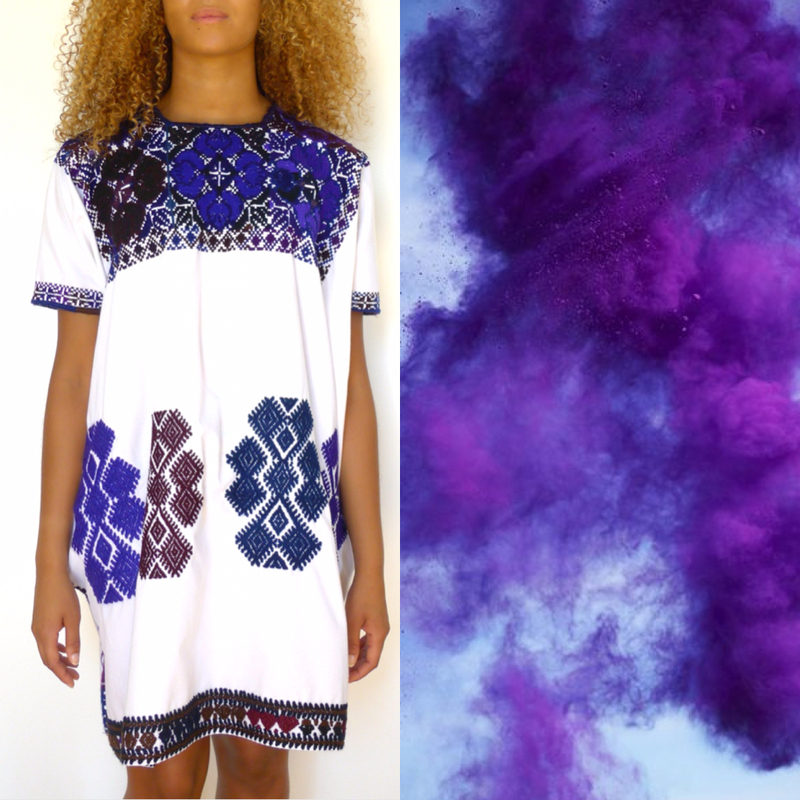 Stark white fabrics, short sleeves and boxy silhouettes make up the foundation of each dress. Only when you stand close do you see the uniqueness of each piece. 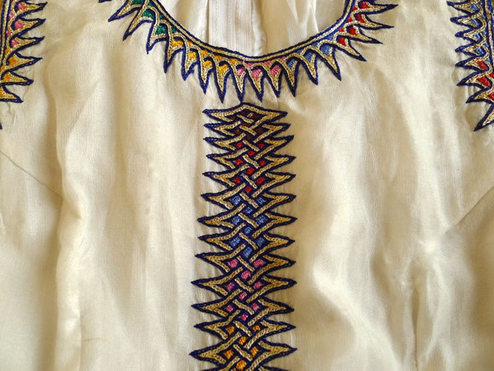 Family histories and the stories of ancestors create a pattern for the embroidery. We each possess experiences of the past, hopes for the future and expectations for the present. Wearing this dress is a way of identifying yourself. Study every detail of the dress as you become connected to your inner and outer self. 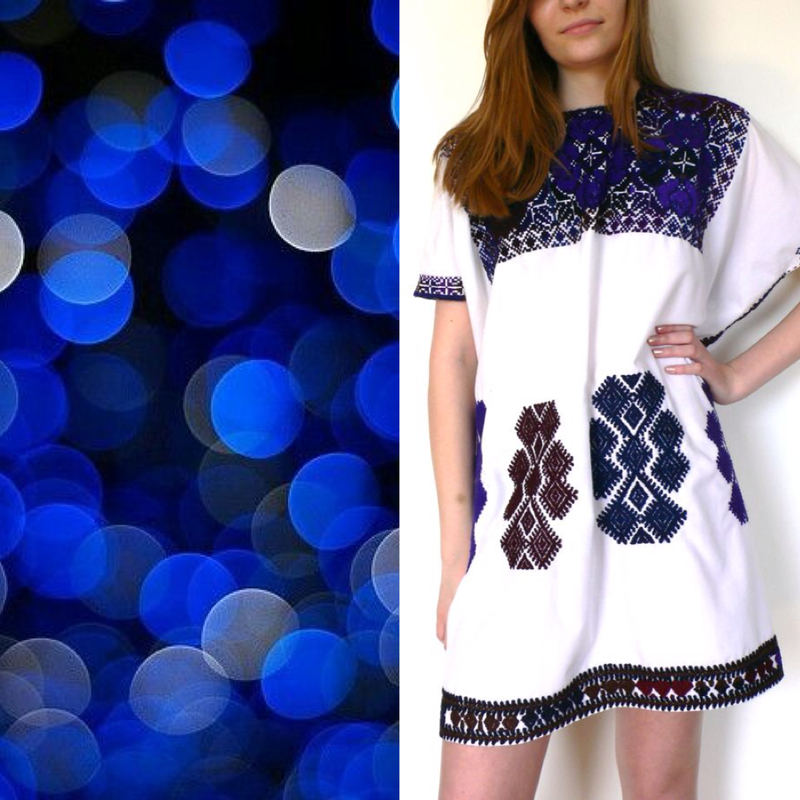 Wearing this dress with confidence means you have found your identity with its design. 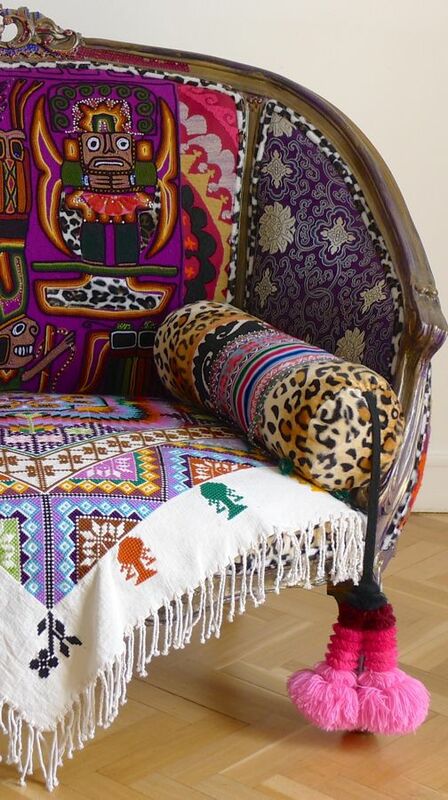 Inspiration from around the world comes to life in a multitude of mediums: clothing, jewelry, accessories and furniture (that’s right, furniture!). 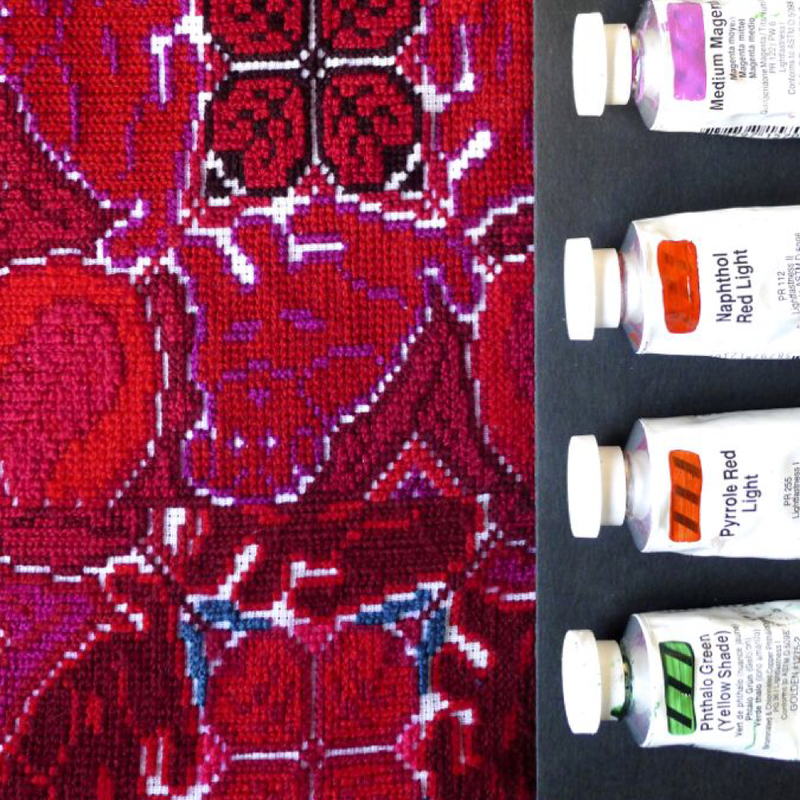 Connan’s use of fabric, embroidery and bold accessories like pompom tassels, are at the foundation of his uniquely designed home décor collection. 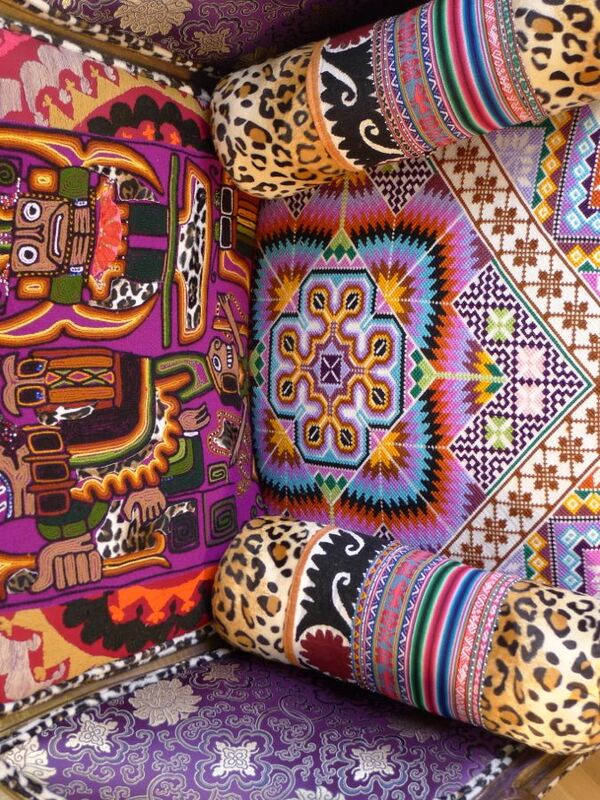 Fabrics from Lake Titicaca, Peru are paired with cloth from Uzbekistan, where cultural diversity is plentiful. 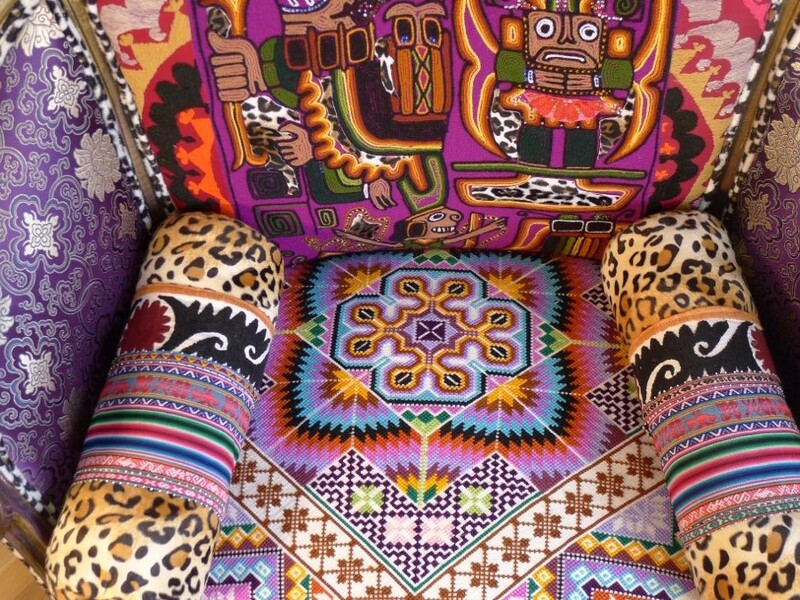 Like a map, the embroidered cushions tell a story of rituals, scarifies, gods and goddesses. The Tumi axe is symbolic for good luck among Peruvians. The large tassels hanging from each end symbolize the Uru women living in Peru, who decorate their hair with pom pom and beads. Animal printed fabric trails along the edges of the chair, like a winding road through the hills and valleys of China’s landscape. 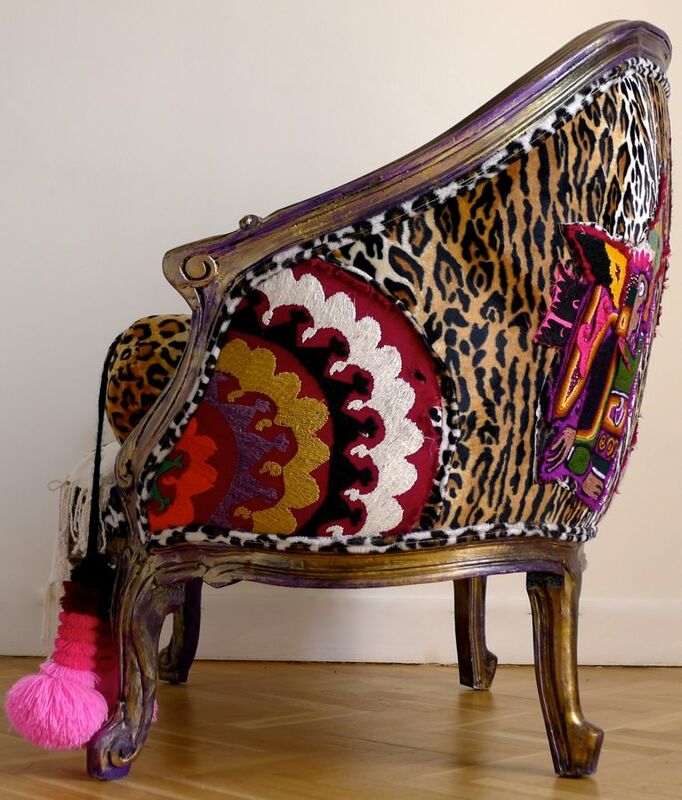 Have you ever sat in a chair covered with Swarovski crystals? Take a moment to enjoy the little things. The wooden frame is accented with crystals that will sparkle in the sunlight. Big enough to house two souls, united in love, with honor for one another and the gifts that the world has to offer. 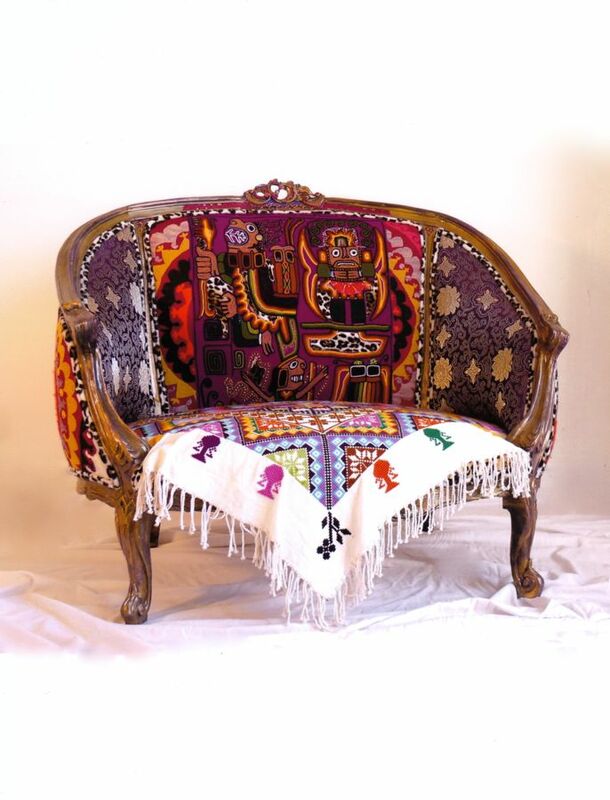 Connan’s love seat is a one-of-a-kind piece that was created with love. By bringing the wonders of the world together in his Paris studio, Connan has discovered the key to beauty, peace and everlasting love. Interested buyers please contact: fromtheworldwithlove@gmail.com. 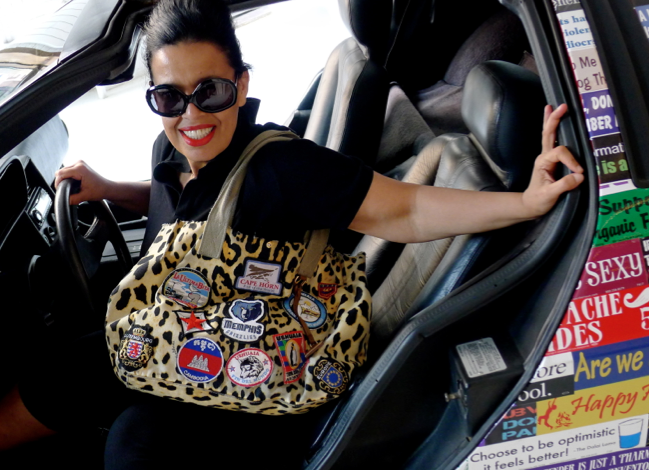 Attention: From the World with Love has joined the Fashion Revolution! 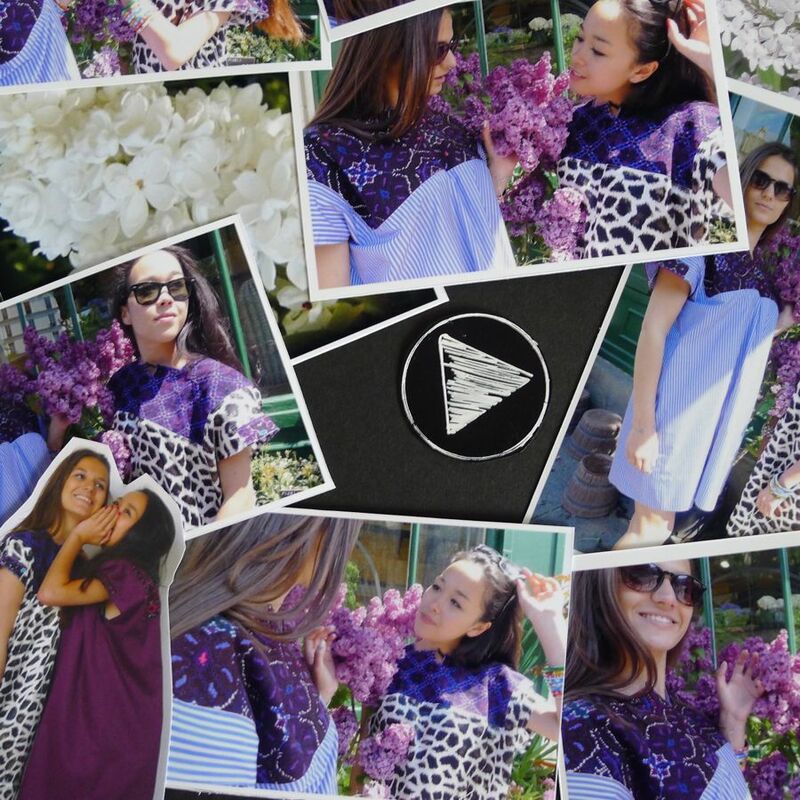 Don’t be afraid to say: Who Made My Clothing? 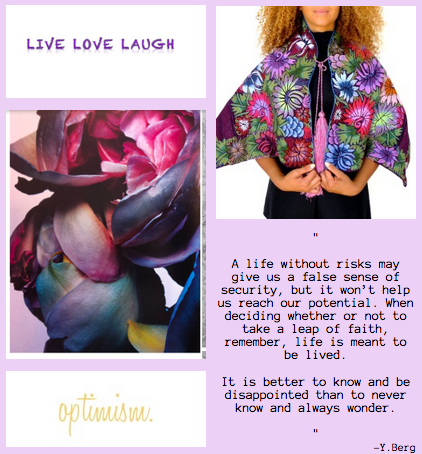 Join the revolution by making responsible and sustainable fashion choices. 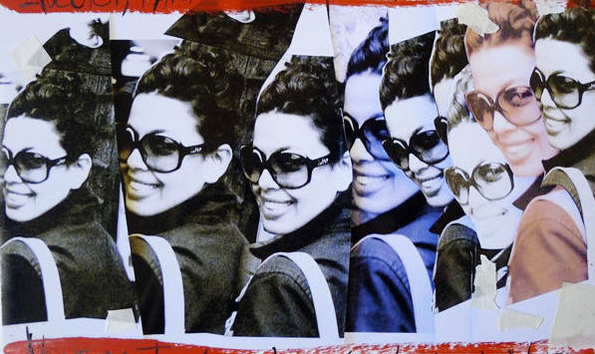 By forming personal relationships with artist around the globe, Yael has created a network of innovative thinkers, ethical shoppers and lifelong friends. Be one of the millions of people who are creating awareness in the fashion industry about how and where clothing is made. Consider the men and women whose hands stitched together your shirt, or the natural resources that were used make all the fabrics in your closet. Do you know where your clothes came from? 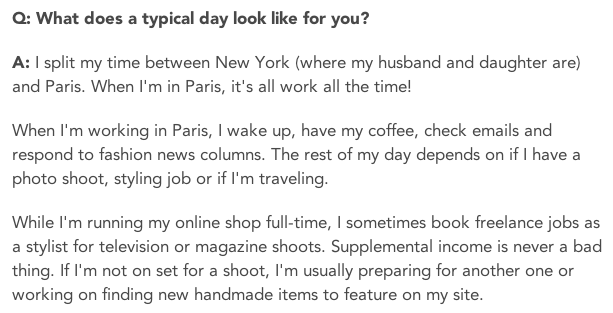 Yael Guetta, knows exactly where each product on ftwwl.com was made, who made it and what it is made from—go ahead, ask her! 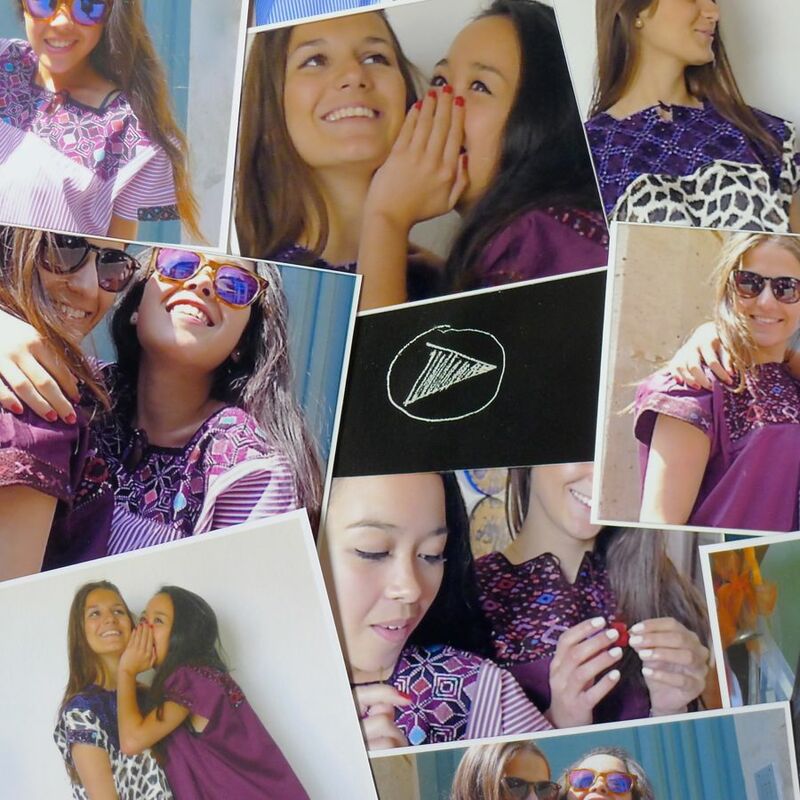 Find that perfect shirt, dress or accessory that speaks to you and transform your wardrobe into a cultural and socially sustainable collection. 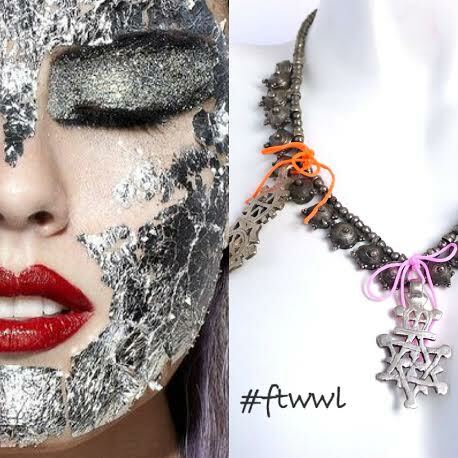 The FTWWL collection reflects Yael’s personal style and her personal choice to be a part of the Fashion Revolution. The human soul contains everything within you, from the emotions you feel to the morals you live by. Our body is the cavity in which the soul flourishes. It is the source of energy, consciousness and love. Use your body as your canvas for displaying your emotions and sharing your beliefs. Silver Maharani bracelet was inspired by the extraordinary wealth of Mughal Maharajas fine jewelry and lavish Indian designs. One does not need to flaunt their possessions to obtain self-acceptance. The raw copper and nickel used to make this cross necklace are a symbol of faith. Once you have faith in yourself, you will be powerful and brave enough to achieve anything. 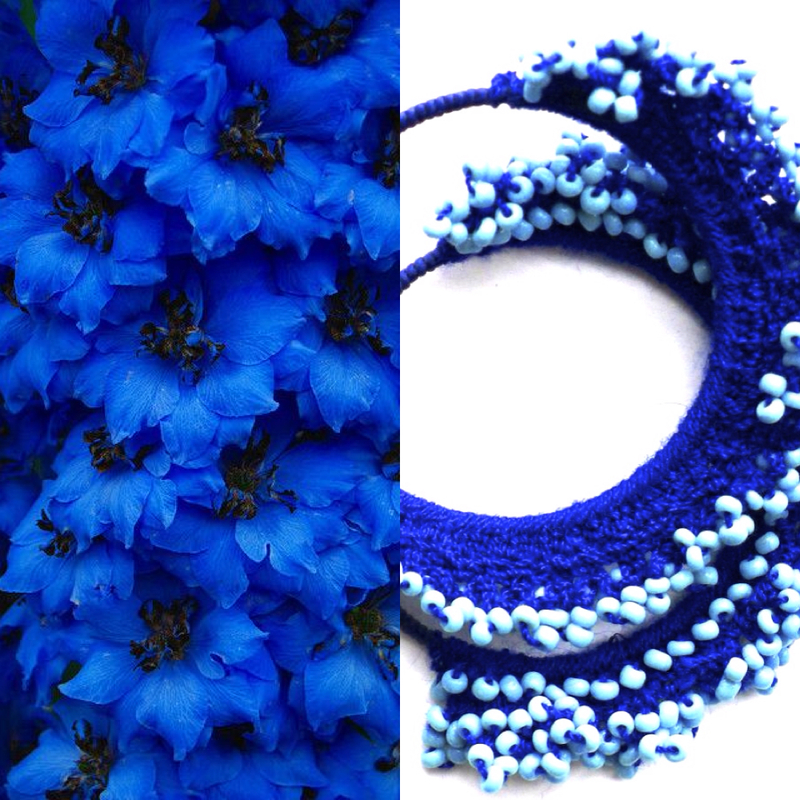 The metal trinket necklace combines the playful colors of youthful and timeless beauty of precious metals. The embroidered heart that dangles from the center will hold the secrets of your soul and your wishes for your future self. Feel the forces of the Earth energize your body, mind and spirit when you are wearing this necklace made of Mali beads, Ethiopian copper and painted coral from the Seychelles Islands. There is beauty and strength within all of us. 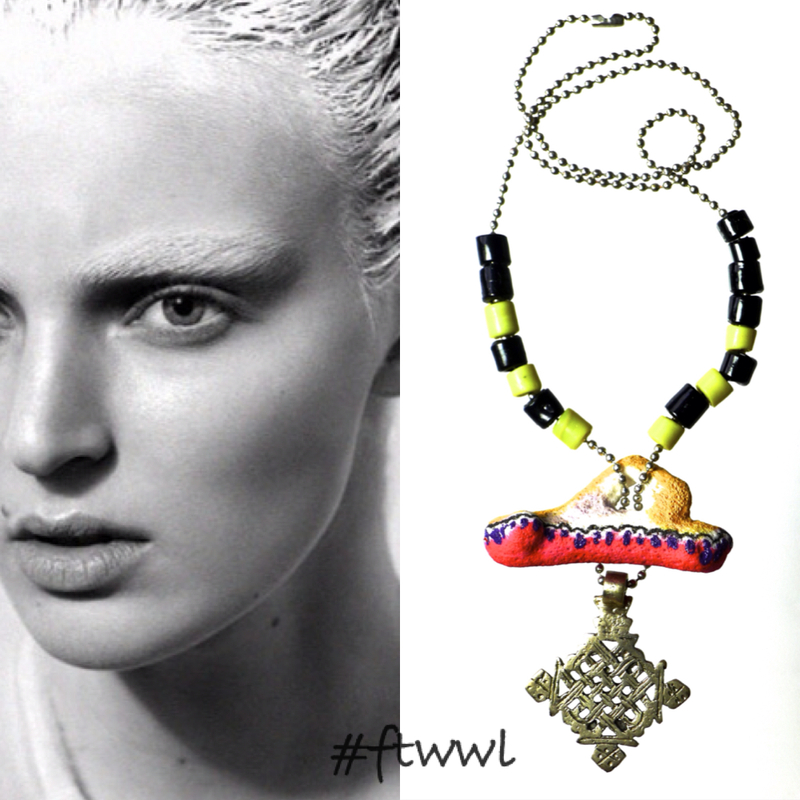 Do a little soul-searching and discover the key to happiness, tranquility and inner peace, with jewelry from FTWWL. 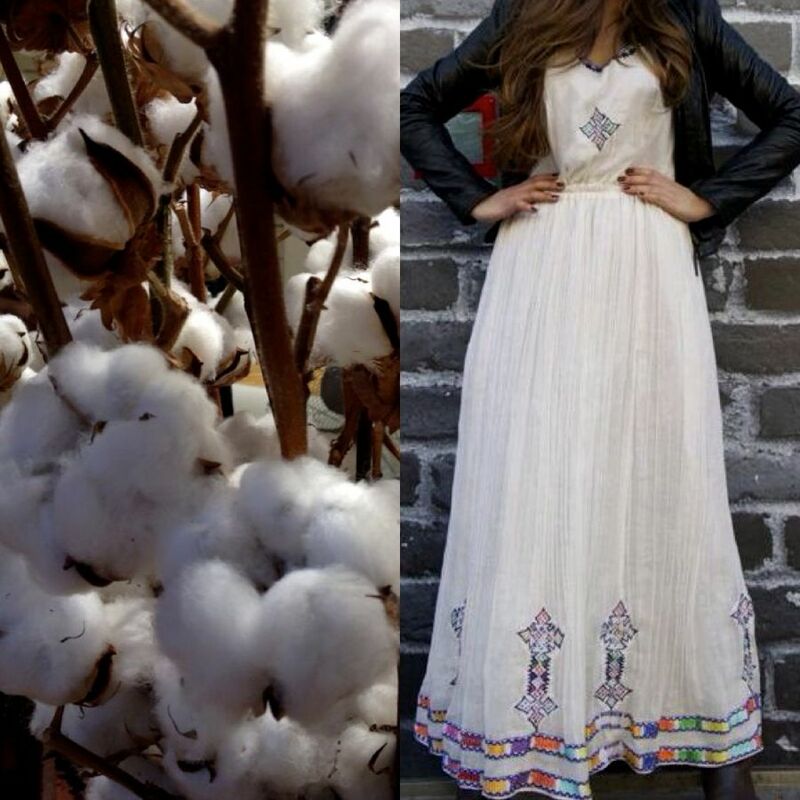 Nothing compares to the feeling of Ethiopian cotton as it is placed gently upon your skin. 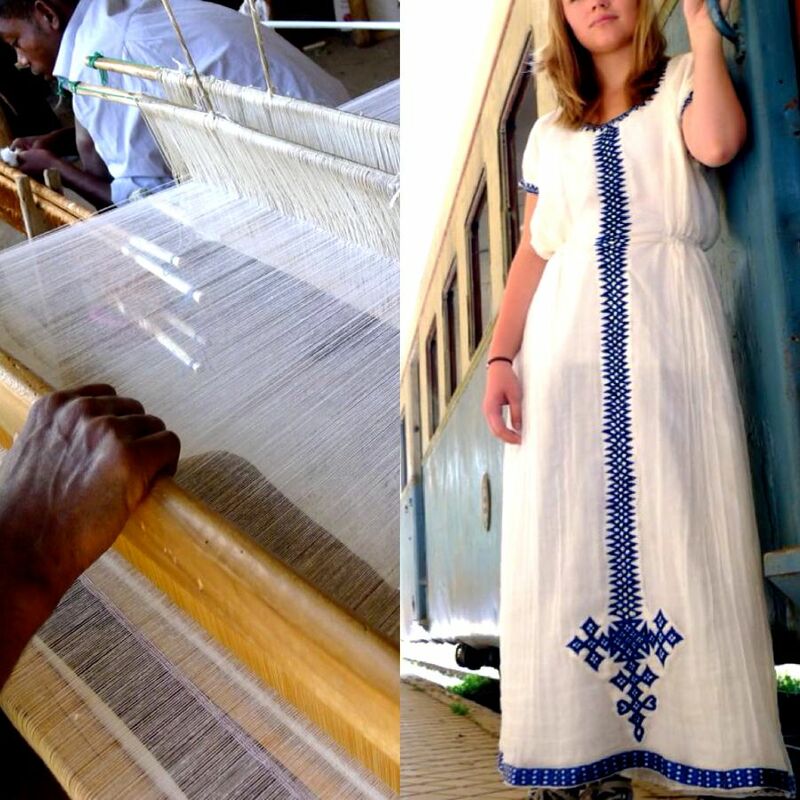 You cannot walk into a store with hopes of buying anything nearly as comfortable and well crafted as the hand-woven dresses we found in Ethiopia. The fluffy white cotton that surrounds the plant’s seed is collected and woven into thread. As part of their daily routine. 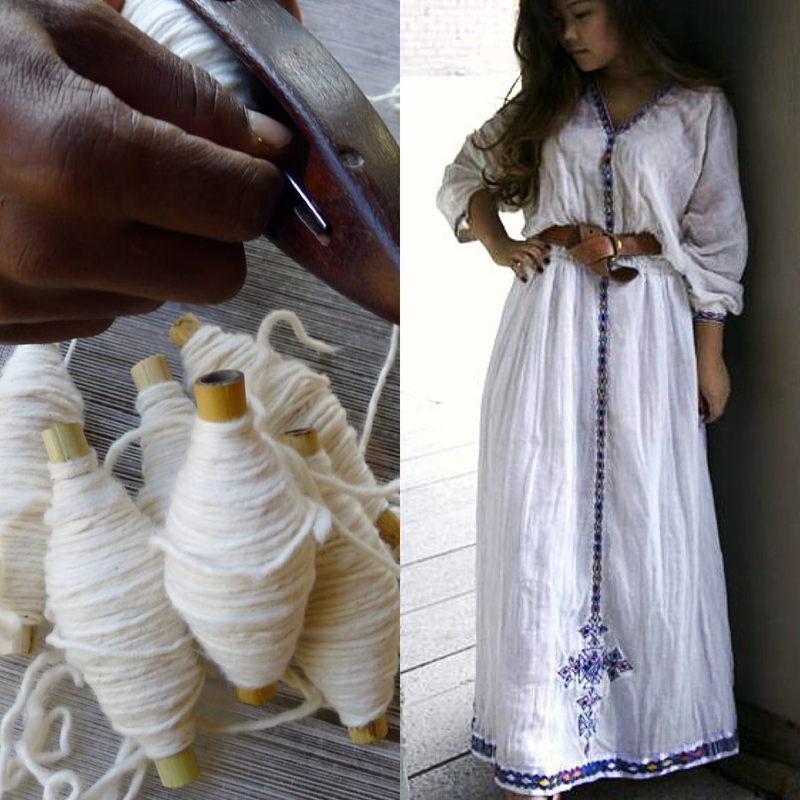 There is nothing more pure than 100% Ethiopian cotton. Feel the weightlessness of the raw cotton as it touches your skin. Sense the delicate breeze as the light and airy dress moves with the wind. 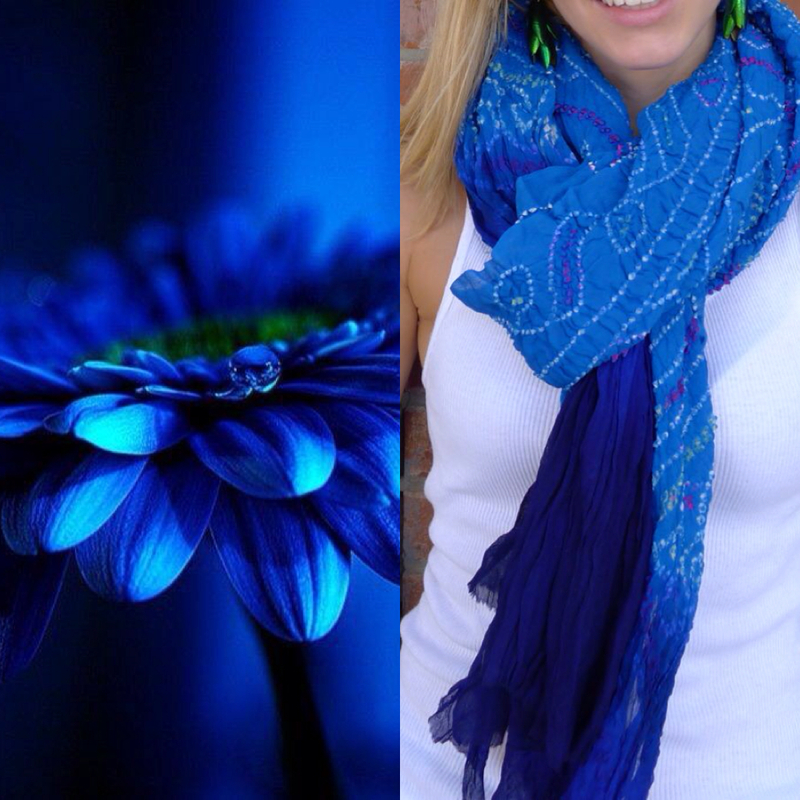 Be rejuvenated by the warming sun as it reflects light off of the white fabric. Moving from one continent to the next, positive energy and love flow freely between you and this breathtaking collection. 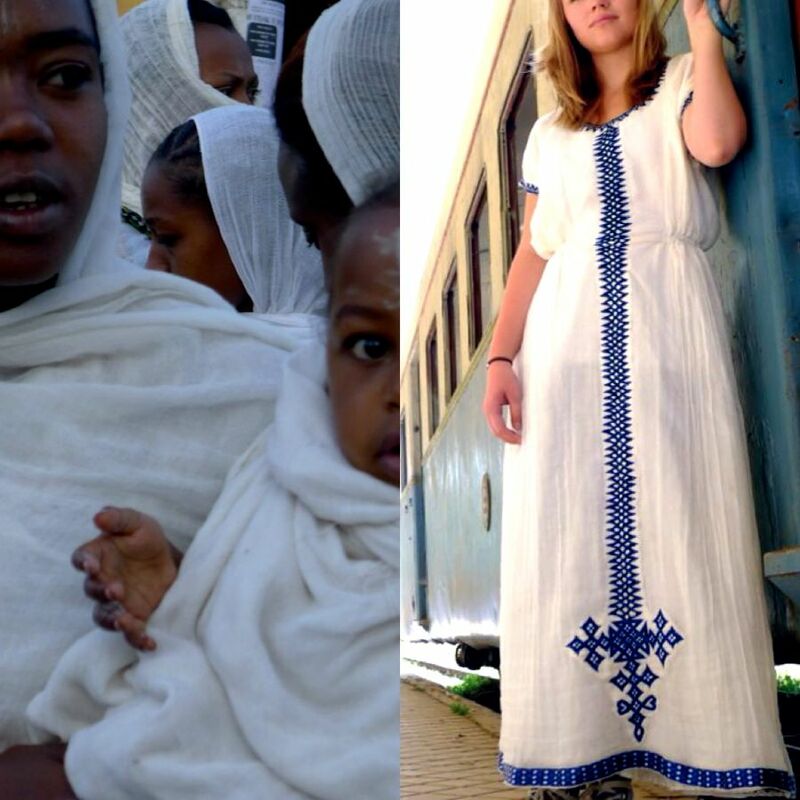 Simplistic design and intricate patterns make these dresses unlike any other.When you wear a piece from the Ethiopian Collection, you are wearing more than a dress; you are wearing the traditions, the beliefs and the spirits of each individual whose work has kept this tradition alive in Ethiopia. Take a walk barefoot through rows of trees and overgrown grasses. Go on an adventure with friend through the busy streets of an unknown city. 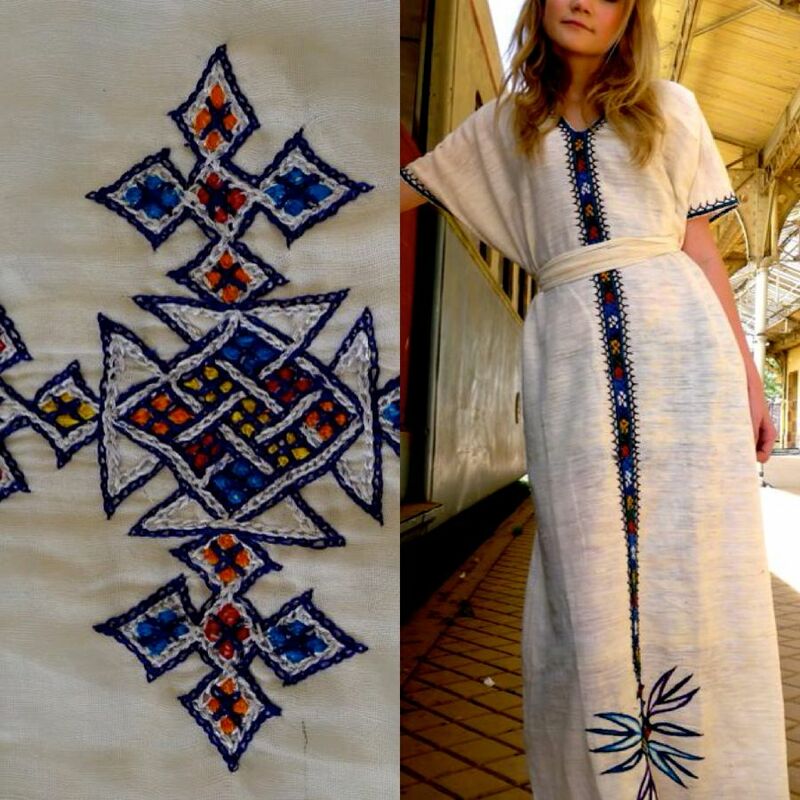 Pack a suitcase of essentials, like a dress from FTWWL and spend a weekend full of joy and happiness, in the comfort of Ethiopian cotton. Words change meaning over time—so too does the meaning of fashion. 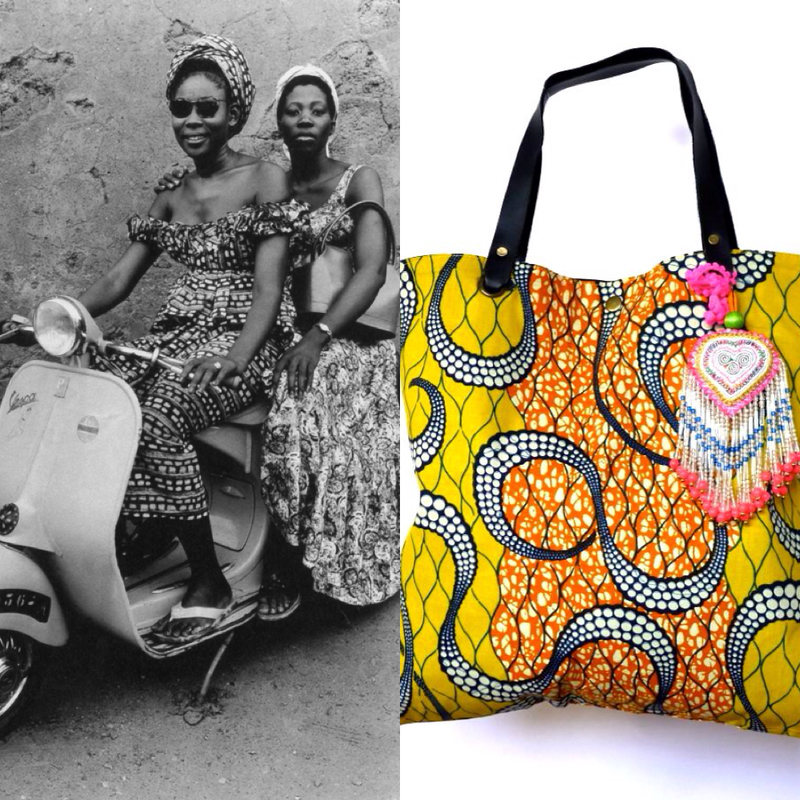 A mosaic of cultural symbols and ideas turn into the products we buy and the trends we follow. 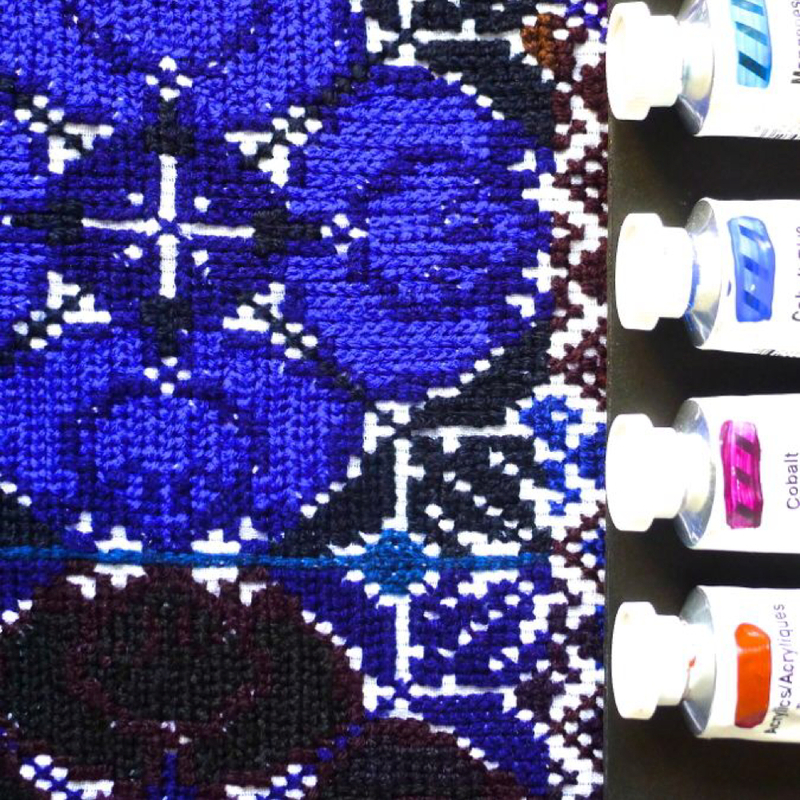 Batik designs from Indonesia and bead-work from Thailand are the results of cross-culture collaborations. 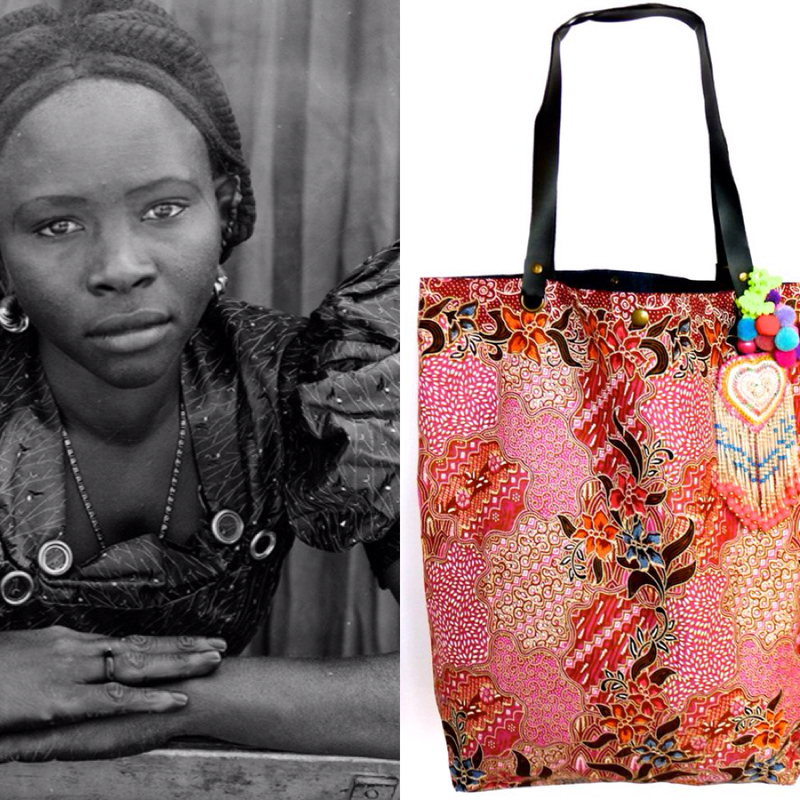 Take for instance, the work of world-renowned photographer, Seydou Keïta. 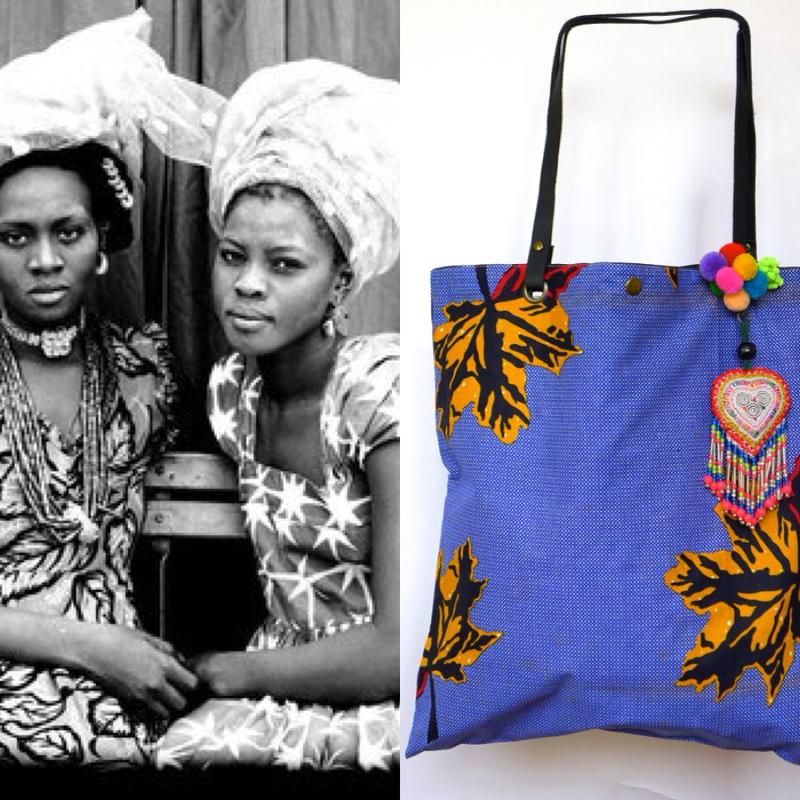 Traditional african dress and western eloquence gave the people, and the clothing they wore, a voice worth hearing. When we recognize the diversity around us, we have the opportunity to create new works of art. 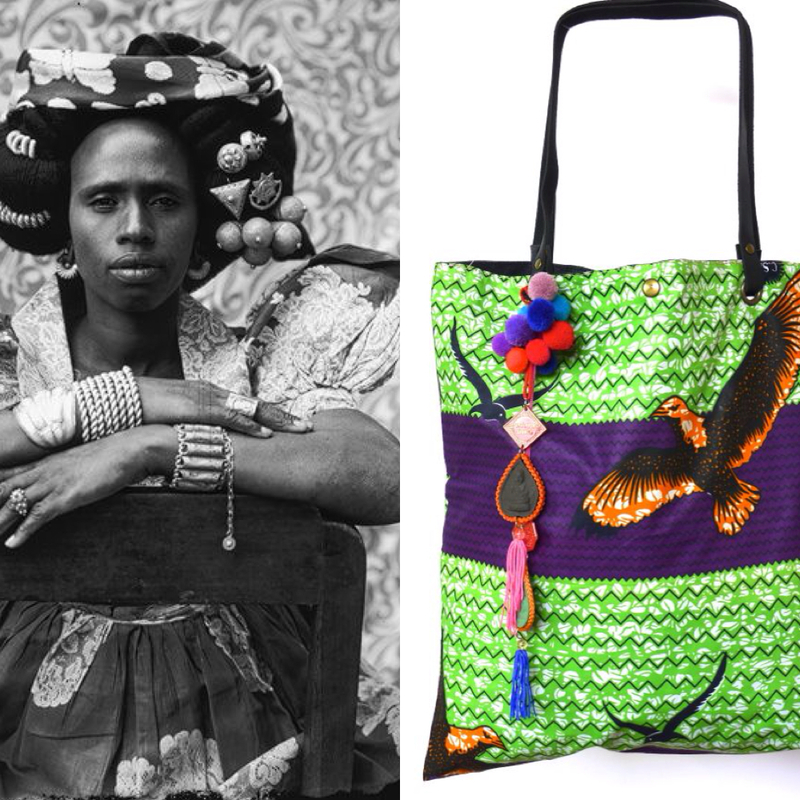 The FTWWL African Print Bags captures beauty from all corners of the world. Begin collecting inspiration from all the places you visit. When the time is right, unleash your imagination and make art out of the world around you.